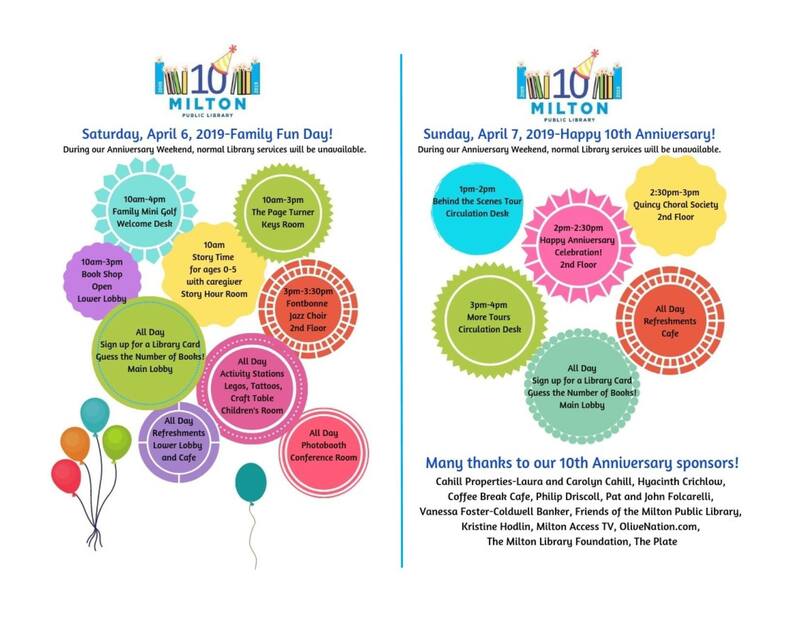 April 2019 marks the 10th Anniversary of our Library renovation! In place of our usual library services, we’re hosting special events on Saturday, April 6 and Sunday, April 7. Hope to see you then!